Purpose Driven (PD) Churches are all committed to the same five purposes for the church: Worship, Fellowship, Discipleship, Ministry, and Evangelism. PEACE is the foundation of evangelism, by empowering ordinary people to address the five global giants of spiritual emptiness, self-serving leadership, poverty, disease, and illiteracy. No one church can conquer the giants alone. That’s why the Purpose Driven church-to-church movement is built on a partnership of churches, mobilizing members to transform communities, and reach the unengaged people groups of the world. This vision for churches to impact nations is only possible with the commitment of International Partnering Churches (IPCs). After Saddleback committed to equipping Rwanda as a Purpose Driven nation, other churches have stepped forward to install the PEACE Plan and PD in foreign countries. To date, 25 IPCs have accepted the role of teaching national church leaders PD strategies, and tools to reach communities. 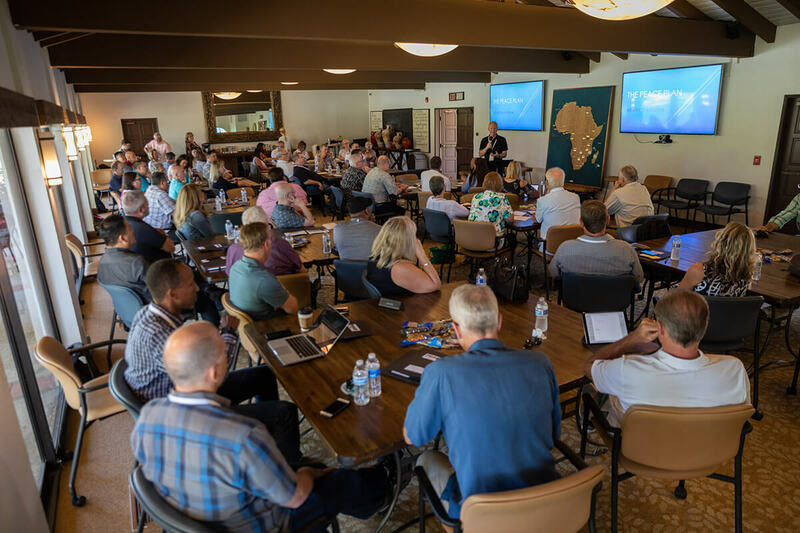 With 25 churches and countries now partnered, there’s a need for an additional 20 IPC’s to connect with the countries of Mali, Niger, Chad, Eritrea, DRC, Republic of Congo, Lesotho, Swaziland, The Gambia, Sierra Leone, and Liberia. 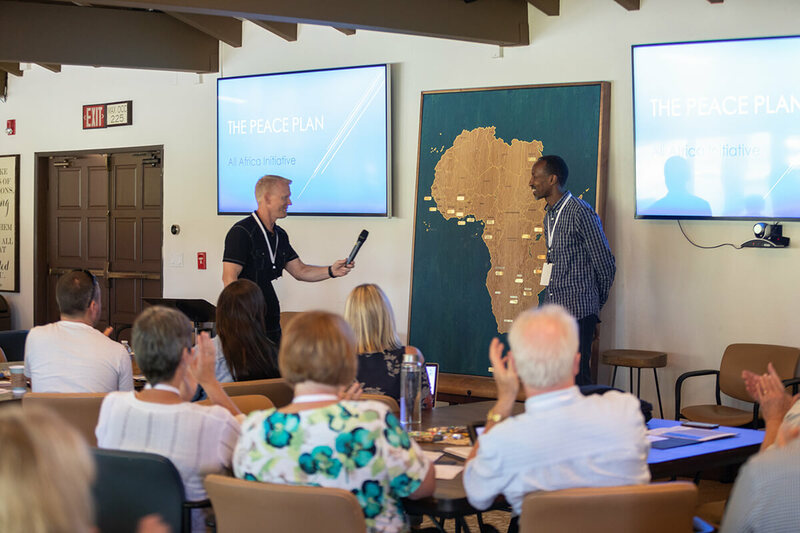 That’s why the Purpose Driven Team hosted the PEACE Missions Gathering at Saddleback Rancho Capistrano fon July 24–25, 2018. Drawing potential IPCs from 34 churches across 19 states, the two-day event offered values and principles of The PEACE Plan, and cast the vision for the All-Africa Initiative. By gaining a clearer picture of the greater impact, many Purpose Driven Church practitioners were challenged to become IPCs and unite with key church leaders in African countries. For those new to PEACE, they gained insight on how to equip their members and take the next step in missions. Welcoming delegates to the event was Global PD/PEACE Pastor, David Chrzan, who introduced Eric Munyemana, Continental Director of the All-Africa Initiative. 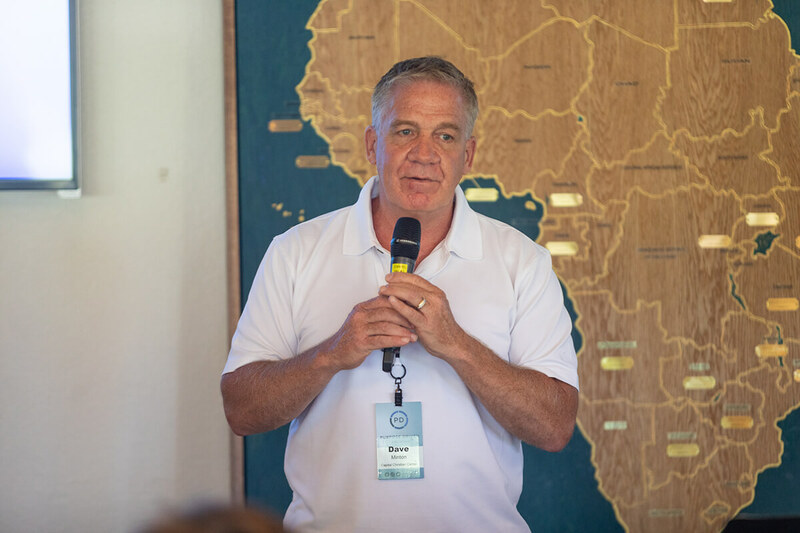 Pastors Eric and Bob Bradberry shared the history of Saddleback’s partnership with Rwanda and how one nation was transformed through PEACE, unity, and the local church. Giving personal testimonies were IPC pastors, Dave Minton and Dani Payment from Capital Christian Center (IPC for Ghana), and Ryan Nunez and Rusty Hood from Palm Valley Church (IPC for Cote d’Ivoire). Wrapping up Day One was Pastor Mike Constantz who spoke on the PEACE Plan as a nation-wide movement. 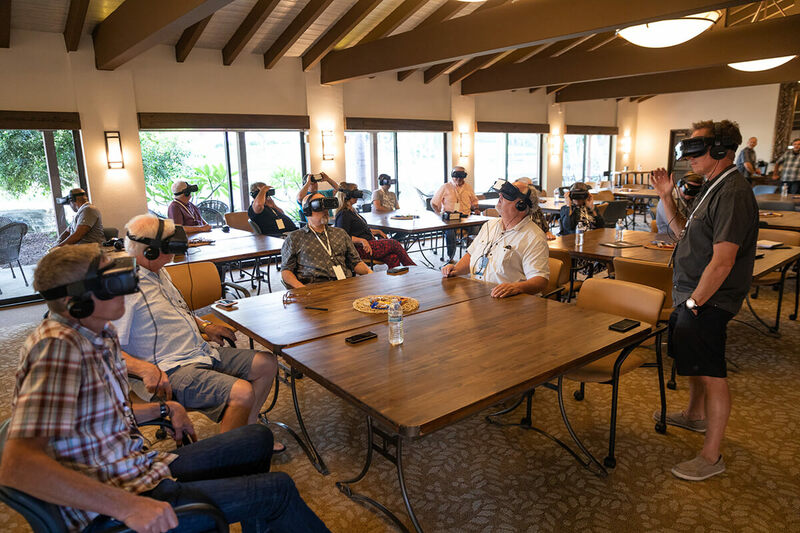 Attendees had the chance to see PEACE in action through the PEACE Virtual Reality Experience. Day Two of the event allowed attendees to break into smaller groups for workshops on PD Essentials coaching opportunities and IPC discussions. According to Pastor Bob, training events like these help facilitate future partnerships between churches and nations. Building on this momentum are upcoming events including PEACE Skills Summit and PEACE Leader Training September 25–27, the PD Coach and IPC Gathering October 23–24, and the All-Africa Pastors Gathering in Rwanda, February, 2019. To learn more how you can be part of this global movement, visit pd.church/start.